A while ago I had mentioned that I was involved in the social media side of Norwich’s first ever craft beer festival and now I have a list of beers that will be on over the course of the festival and everything is finalised for this coming Thursday, I figured I’d write a blog. Firebrand Brewery – A seriously bloody good up and coming brewery from Cornwall. I first sampled their beers at Craft Beer Rising this year and was impressed so I’m excited to see these guys coming up for it! Signature Brew – An awesome aptly musical themed brewery. These guys are most known for brewing collaboration beers with the likes of Professor Green, Mastodon & Frank Turner but now have their own range of beers which I’m looking forward to trying! Humpty Dumpty – Brilliant traditional real ale brewery situated on the Norfolk Broads. Last year they celebrated their 15th Anniversary with a very tasty barley wine that I helped brew (well, not really. I just stood there looking good). Fem-Ale - A brilliant organisation promoting the women in the beer industry! Expect to see a whole host of beers that have been brewed by women! Norfolk Square Brewery - Carlos will be bringing his Maverik range of craft beers including the wonderful English hopped Barmy IPA! Golden Triangle - Popular among Norwich drinkers, and a personal favourite of mine, Kev will be bringing his amazing Black IPA... BLACK HOPS! So, those are all of the confirmed beers and we’re very excited about it as the days get closer! 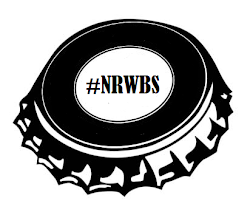 You can follow us on twitter at @NSVBeerFest or Facebook where I will be telling you a little bit more about each brewery and the beers before Thursday and updating you with setup.